[….] “In barely one generation we’ve moved from exulting in the time-saving devices that have so expanded our lives to trying to get away from them — often in order to make more time. The more ways we have to connect, the more many of us seem desperate to unplug. Like teenagers, we appear to have gone from knowing nothing about the world to knowing too much all but overnight. Internet rescue camps in South Korea and China try to save kids addicted to the screen. Writer friends of mine pay good money to get the Freedom software that enables them to disable (for up to eight hours) the very Internet connections that seemed so emancipating not long ago. Even Intel (of all companies) experimented in 2007 with conferring four uninterrupted hours of quiet time every Tuesday morning on 300 engineers and managers. (The average office worker today, researchers have found, enjoys no more than three minutes at a time at his or her desk without interruption.) During this period the workers were not allowed to use the phone or send e-mail, but simply had the chance to clear their heads and to hear themselves think. A majority of Intel’s trial group recommended that the policy be extended to others. The average American spends at least eight and a half hours a day in front of a screen, Nicholas Carr notes in his eye-opening book ‘The Shallows,’ in part because the number of hours American adults spent online doubled between 2005 and 2009 (and the number of hours spent in front of a TV screen, often simultaneously, is also steadily increasing). The average American teenager sends or receives 75 text messages a day, though one girl in Sacramento managed to handle an average of 10,000 every 24 hours for a month. Since luxury, as any economist will tell you, is a function of scarcity, the children of tomorrow, I heard myself tell the marketers in Singapore, will crave nothing more than freedom, if only for a short while, from all the blinking machines, streaming videos and scrolling headlines that leave them feeling empty and too full all at once. The urgency of slowing down — to find the time and space to think — is nothing new, of course, and wiser souls have always reminded us that the more attention we pay to the moment, the less time and energy we have to place it in some larger context. ‘Distraction is the only thing that consoles us for our miseries,’ the French philosopher Blaise Pascal wrote in the 17th century, ‘and yet it is itself the greatest of our miseries.’ He also famously remarked that all of man’s problems come from his inability to sit quietly in a room alone. When telegraphs and trains brought in the idea that convenience was more important than content — and speedier means could make up for unimproved ends — Henry David Thoreau reminded us that ‘the man whose horse trots a mile in a minute does not carry the most important messages.’ Even half a century ago, Marshall McLuhan, who came closer than most to seeing what was coming, warned, ‘When things come at you very fast, naturally you lose touch with yourself.’ Thomas Merton struck a chord with millions, by not just noting that ‘Man was made for the highest activity, which is, in fact, his rest,’ but by also acting on it, and stepping out of the rat race and into a Cistercian cloister. Yet few of those voices can be heard these days, precisely because ‘breaking news’ is coming through (perpetually) on CNN and Debbie is just posting images of her summer vacation and the phone is ringing. We barely have enough time to see how little time we have (most Web pages, researchers find, are visited for 10 seconds or less). And the more that floods in on us (the Kardashians, Obamacare, ‘Dancing with the Stars’), the less of ourselves we have to give to every snippet. All we notice is that the distinctions that used to guide and steady us — between Sunday and Monday, public and private, here and there — are gone. Maybe that’s why more and more people I know, even if they have no religious commitment, seem to be turning to yoga or meditation, or tai chi; these aren’t New Age fads so much as ways to connect with what could be called the wisdom of old age. Two journalist friends of mine observe an ‘Internet sabbath’ every week, turning off their online connections from Friday night to Monday morning, so as to try to revive those ancient customs known as family meals and conversation. Finding myself at breakfast with a group of lawyers in Oxford four months ago, I noticed that all their talk was of sailing — or riding or bridge: anything that would allow them to get out of radio contact for a few hours. Other friends try to go on long walks every Sunday, or to ‘forget’ their cellphones at home. A series of tests in recent years has shown, Mr. Carr points out, that after spending time in quiet rural settings, subjects ‘exhibit greater attentiveness, stronger memory and generally improved cognition. Their brains become both calmer and sharper.’ More than that, empathy, as well as deep thought, depends (as neuroscientists like Antonio Damasio have found) on neural processes that are ‘inherently slow.’ The very ones our high-speed lives have little time for.” [….] The rest of the essay is here. Speaking of Pico, there’s notice of his new book on Graham Greene in the New York Times. As I note in the former link, I would unhesitatingly recommend anything written by him, but I especially look forward with relish to this book, having had several conversations with him about his (and now ‘our’) fondness for Greene. Buy from your local, independent bookseller if possible (so as to help them avoid the fate of my beloved Bodhi Tree Bookstore) but if not, see here. Rod Dreher is honored in David Brook’s column this morning. The column tells the bittersweet story of the death of Dreher’s sister and the outpouring of support her fight against cancer drew from the small town in which she lived. Dreher and his wife were so touched by the experience that they decided to move to the town, St. Francisville, Louisiana. In a sense the move fit with Dreher’s philosophy. Dreher is a communitarian conservative in the tradition of Russell Kirk (who, among other things, emphasized the importance of small towns). Dreher believes that the communitarian aspect of conservatism has been underexplored. He writes for the The American Conservative, a magazine devoted to that proposition. I think the differences and similarities among communitarian conservatives and communitarians on the left have been underexplored as well. One of the main differences is that communitarian conservatives emphasize the importance of respecting tradition; communitarians on the left emphasize the importance of criticizing tradition. Partly because of their respect for tradition, communitarian conservatives have decried the ravages of materialism and capitalism; for different reasons, so, of course, have communitarians of the left. One of the principal criticisms of President Obama coming from the left has been that he surrounded himself with Wall Street luminaries. Dreher has a similar criticism coming from the right. It is worth reading. Check it out here. “Let us now take for granted the historically normal and religiously orthodox view that, just as ethics is the ‘right way of doing things,’ so art is the ‘making well of whatever needs making,’ or simply ‘the right way of making things:’ and still addressing ourselves to those [who]…ask whether art is not after all a necessity. A necessity is something that we cannot afford to do without, whatever its price. We cannot go into questions of price here, except to say that art need not be, and should not be expensive, except to the extent that costly materials are employed. It is at this point that the crucial question arises of manufacture for profit versus manufacture for use. It is because the idea of manufacture for profit is bound up with the currently accepted industrial sociology that things in general are not well made and therefore also not beautiful. It is the manufacturer’s interest to produce what we like, or can be induced to like, regardless of whether or not it will agree with us…. Manufacturers and other artists alike resort to advertisement; art is abundantly advertised in schools and colleges, by ‘Museums of Modern Art,’ and by art dealers; and artist and manufacturer both alike price their wares according to what the traffic will bear. [….] It is only when the maker of things is a maker of things by vocation, and not merely holding down a job, that the price of things approximate to their real value; and under these circumstances, when we pay for a work of art designed to serve a necessary purpose, we get our money’s worth; and the purpose being a necessary one, we must be able to afford to pay for the art, or else we are living below a normal human standard; as most men are now living, even the rich, if we consider quality rather than quantity. Needless to add that the workman is also victimised by a manufacture for profit; so that it has become a mockery to say to him that hours of work should be more enjoyable than hours of leisure…. As to fame, it need only be pointed out that the greater part of the greatest art of the world has been produced anonymously, and that if any workman has only fame in view, ‘any proper man ought to be ashamed for good people to know this of him.’ And as to art, to say that the artist works for art is an abuse of language. Art is that by which a man works, supposing that he is in possession of his art and has the habit of his art; just as prudence or conscience is that by which he acts well. Art is no more the end of his work than prudence the end of his conduct. It is only because under the conditions established in a system of production for profit rather than for use we have forgotten the meaning of the word ‘vocation,’ and think only in terms of ‘jobs,’ that such confusions as these are possible. The man who has a ‘job’ is working for ulterior motives, and may be quite indifferent to the quality of the product, for which he is not responsible; all that he wants in this case is to secure an adequate share of the expected profits. But one whose vocation is specific, that is to say who is naturally and constitutionally adapted to and trained in some one or another kind of making, even though he earns his living by this making, is really doing what he likes most; and if he is forced by circumstance to do some other kind of work, even though more highly paid, is actually unhappy. The vocation, whether it be that of the farmer or the architect, is a function; the exercise of this function as regards the man himself is the most indispensable means of spiritual development, and as regards to his relation to society the measure of his worth. It is precisely in this way that as Plato says, ‘more will be done, and with more ease, when everyone does but one thing, according to his genius; and this is justice to each man himself.’ It is the tragedy of a society industrially organized for profit that this justice to each man in himself is denied him; and that any such society literally and inevitably plays the Devil with the rest of the world. Tuesday David Brooks produced yet another big think train wreck. He argued that the Obama administration was wrong to think that lessons from the great Depression were applicable to the present day because people trusted government during the days of FDR. Now 64% believe government is the biggest threat to the country; only 26%, according to Brooks believe big business is the biggest threat. Brooks also argued that analogies to the progressive era are inappropriate because the market is no longer a jobs machine (how true) and the country currently lives with libertarian values instead of Victorian values. Aside from some wholly unsupported and non-specific calls for stripping “away decaying structures “ and reforming the welfare state, Brooks’ solution is to restore conservative values. I am prepared to accept that the balance between libertarian and conservative values is too weighted in favor of the individualist libertarian. But Brooks has no account of how the libertarian culture is to be combatted. Is “untrustworthy” government to play a role? Even more significant, is this Brooks’ solution to the problem of the economy, the subject with which he started the column? Even assuming the libertarian culture can be transformed, will this turn the economy into a jobs machine? It is precisely because the economy is no longer a jobs machine that government must be looked to as the employer of last resort. To the extent it is not, it is an exercise of moral leprosy not to support those left behind. One of the great failures of the Obama presidency is to play the role of the great compromiser instead of fighting for the political minds and hearts of the American people. The Republicans have been given an almost free ideological ride until very recently. Their cynical idolizing of the “free” market and their support of imaginary “job creators” (as a mask for naked greed) needed to be combatted throughout the Obama administration – not just when elections have drawn near. Of course, there are grounds to fear Obama’s government. In this election cycle, according to today’s Wall Street Journal, Obama and the Democratic National Committee will raise somewhere between $700 million to $1 billion. As in the campaign against McCain, most of that money will come from large donors. When asked whether we fear government or big business more, it is fair to respond that it is hard to see the difference. The Democrats and the Republicans support big business in different ways. Obama, contrary to the Republicans, is arguing that the creation of jobs by government support of infrastructure and in generous support of education is necessary to support a thriving economy. What is good for business is not always bad for the country. Even though both parties are captured by big money, there is still more than a dime's worth of difference between the two parties. “The first time I knew what it was to be alone, and to like it, was on the island of Corfu. The second time it happened, despite all my talk of not being alone, was here at Big Sur. To be alone, if only for a few minutes, and to realize it with all one’s being, is a blessing we seldom think to implore. The man of the big city dreams of life in the country as a refuge from all that plagues him and renders life intolerable. What he fails to realize, however, is that he can be more alone, if he chooses, in the midst of ten million souls than in a tiny community. To experience the feeling of aloneness is a spiritual achievement. The man who runs away from the city in search of this experience may find to his chagrin, particularly if he has brought with him all the cravings which city life fosters, that he has succeeded only in becoming lonely. ‘Solitude is for wild beasts or the gods,’ said someone. And there is truth in it. Only when we are truly alone does the fullness and richness of life reveal itself to us. In simplifying our lives, everything acquires a significance hitherto unknown. When we are one with ourselves the most insignificant blade of grass assumes its proper place in the universe. Or a piece of manure, for that matter. Properly attuned, it’s all one come Christmas, as we say. One thing becomes just as important as another, one person as good as another. Lowest and highest become interchangeable. The own precious self gets swallowed up in the ocean of being. It is then that the carrion bird no longer seems hideous, nor merely to be tolerated because of its scavenger propensities. Nor do the stones in the field then seem inanimate, or to be regarded with an eye toward future walls and buttresses. Even if it last for only a few moments, the privilege of looking at the world as a spectacle of unending life and not as a repository of persons, creatures and objects to be impressed into our service, is something never to be forgotten. The ideal community, in a sense, would be the loose, fluid aggregation of individuals who elected to be alone and detached in order to be at one with themselves and all that lives and breathes. It would be a God-filled community, even if none of its members believed in (a) God. It would be a paradise, even though the word had long disappeared from our vocabulary. is any object safe from transformation? Is any life safe from the invasion of the eternal? are pregnant with light waiting to be born this night? Susan Stabile quotes the same excerpt at Creo en Dios. Her brief reflection is worth reading. Does the Christmas Culture War Have Anything to Do with Christianity? As Christmas approaches, the conservative war (purportedly on its behalf) seems decidedly unchristian. Sara Palin chides the President for sending out a holiday card that does not wish people a blessed Christmas. Of course, Palin knows that Jews, Buddhists, Muslims, Hindus, atheists, and agnostics would receive these cards. Sending them a Christmas card would be insulting. Palin knows this too. The mystery is what Palin’s point has to do with Christianity. Similarly, conservative Christians demand that people in department stores say “Merry Christmas” instead of “Happy Holidays.” The same objection applies, but with a twist. Department stores are not spiritual beings. They will order their employees to say “Merry Christmas” if, but only if, it is profitable to do so. I am guessing that conservative Christians hope to use economic pressure to bring department stores around. If so, I understand the economic strategy; it’s the connection to Christianity that escapes me. To put it another way, if the cross means anything, genuine Christianity is far removed from the will to power. “There is a type of individual who, after finding what he considers a paradise, proceeds to pick flaws in it. Eventually this man’s paradise becomes even worse than the hell from which he had escaped. Certainly paradise, whatever, wherever it be, contains flaws. (Paradisiacal flaws, if you like.) If it did not, it would be incapable of drawing the hearts of men or angels. The windows of the soul are infinite, we are told. And it is through the eyes of the soul that paradise is visioned. If there are flaws in your paradise, open more windows! Vision is entirely a creative faculty: it uses the body and the mind as the navigator uses his instruments. Open and alert, it matters little whether one finds a supposed short cut to the Indies—or discovers a new world. Everything is begging to be discovered, nor accidentally, but intuitively. Seeking intuitively, one’s destination is never in a beyond of time or space but always here and now. If we are always arriving and departing, it is also true that we are eternally anchored. One’s destination is never a place but rather a new way of looking at things. Which is to say that there are no limits to vision. Similarly, there are no limits to paradise. Any paradise worth the name can sustain all the flaws in creation and remain untarnished. If I have entered upon a vein which I must confess is not frequently discussed here, I am nevertheless certain that it is one which secretly engages the minds of many members of the community. Everyone who has come here in search of a new way of life has made a complete change-about in his daily routine. Nearly every one has come from afar, usually from a big city. It meant abandoning a job and a mode of life which was detestable and insufferable. To what degree each one has found ‘new life’ can be estimated only by the efforts he or she put forth. Some, I suspect, would have found ‘it’ even had they remained where they were. The most important thing I have witnessed since coming here, is the transformation people have wrought in their own being. Nowhere have I seen individuals work so earnestly and assiduously on themselves. Nor so successfully. Yet nothing is taught or preached here, at least overtly. Some of us have made the effort and failed. Happily for the rest of use, I should say. But even those who failed gained something. For one thing, their outlook on life was altered, enlarged if not ‘improved.’ And what could be better than for the teacher to become his own pupil, or the preacher his own convert? In a paradise you don’t preach or teach. You practice the perfect life—or you relapse. There seems to be an unwritten law here which insists that you accept what you find and like it, profit by it, or your are cast out. Nobody does the rejecting, please understand. Nobody, no group here, would crave such authority. No, the place itself, the elements which make it, do that. It’s the law, as I say. And it is a just law which works harm to no one. To the cynical-minded it may sound like the same old triumph of our dear status quo. But the enthusiast knows that it is precisely the fact that there is no status quo here which makes for its paradisiacal quality. No, the law operates because that which makes for paradise can not and will not assimilate that which makes for hell. How often it is said that we make our own heaven and our own hell. And how little it is taken to heart! Yet the truth prevails, whether we believe in it or not. Paradise or no paradise, I have the very definite impression that the people of this vicinity are striving to live up to the grandeur and nobility which is such an integral part of the setting. They behave as if it were a privilege to live here, as if it were by an act of grace they found themselves here. The place itself is so overwhelmingly bigger, greater, than anyone could hope to make it that it engenders a humility and reverence not frequently met with in Americans. There is nothing to improve on in the surroundings, the tendency is to set about improving oneself. Digging in at Big Sur eleven years ago, I must confess that I had not the least thought or concern about the life of the community. With a population of one hundred souls scattered over several hundred square miles, I was not even conscious of a latent ‘community.’ My community then comprised a dog, Pascal (so named because he had the sorrowful look of a thinker), a few trees, the buzzards, and a seeming jungle of poison oak. My only friend, Earl White, lived three miles down the road. The hot sulphur baths were three miles further down the road. There the community ended, from my standpoint. I soon found out how mistaken I was, of course. It was no time before neighbors began popping up from all sides—out of the brush, it seemed—and always laden with gifts, as well as the most discrete and sensible advice, for the ‘newcomer.’ Never have I known better neighbors! All of them endowed with a tact and subtlety such as I never ceased to marvel at. They came only when they sensed you had need of them. As in France, it seemed to me that I was once again among people who knew how to let you be. And always there was a standing invitation to join them at table, should you have need of food or company. I am in NYC. It is hard to ignore the pedestrians’ texting and surfing the internet while traversing the crowded streets, not to mention the visual blizzard of advertising including those thrown at us on a mini-screen in the back of a cab. Meanwhile I read the cheery news that new apps permit viewers to get behind the scenes information about the live television they are watching (one screen at a time is not enough). I go to a play (Seminar – it was terrific) and learn from the law student next to me that it is common practice for students to text the person being called on with helpful information (though he said at another school sometimes the students text insults). I knew there were reasons I banned electronic devices in my classrooms. I thought the ban would encourage dialogue (instead of staring at a screen, a student might look at a fellow student), discourage multitasking (the evidence seems clear that students cannot do it); cut down on those who think that taking notes is a thoughtless exercise in stenography; and I do not mind the reduction of clatter. But I had no clue that this texting is going on in classes (fortunately not in mine, at least not “legally”). How naïve of me! My youngest son Jacob is here with Neesa and me. He does not own a television. His electronic sin is to stream Netflix on his computer and he is thinking of cancelling his subscription. He thinks that owning a television gets in the way of communicating with people, reading books, and the like. I heard a talk by thriller writer (and Cornell Law grad), Barry Eisler (if you like Japan, the martial arts, want to learn about the art of surveillance with plot twists here and there – you will like his first book) in which he argued that he does not own a television, mainly, as I understood him, so that he could get more writing and reading done. I admire these perspectives, but I am an addict. I own a television, computers, and an i-pod touch. (I have drawn the line at smart phones and i-pads). I value the entertainment that television provides and the music and podcasts on my i-pod. But I probably watch television too much and definitely use a computer for more frivolity than any sensible life would include. In 1985, Neil Postman wrote a great book called Amusing Ourselves to Death. It was based on a talk he gave in Germany on a panel devoted to Orwell’s 1984. Influenced by the Brave New World by Aldous Huxley, Postman argued that the greatest threat to modern society was the addiction to amusement, not oppression by the state. Postman’s book changed the life of Jacob. I wonder if Eisler read it as well. If you have not, I recommend it. And while you are it, you might check out the second edition of The Death of Discourse by Ron Collins and David Skover. It is a maddening book in some ways, particularly in its purported failure to take a position. But the book assembles powerful evidence that Huxley and Postman were well ahead of their time. It was bad before; it has gotten worse. This is a slightly different version of a compilation I put together at the request of a colleague, so I thought I’d share it with our readers who, presumably, have some interest in the subject. Barbour, Ian G. Issues in Science and Religion. Englewood Cliffs, NJ: Prentice-Hall, 1966. Barbour, Ian G. Myths, Models, and Paradigms: A Comparative Study in Science and Religion. New York: Harper and Row, 1974. Barbour, Ian G. Religion and Science: Historical and Contemporary Issues. New York: HarperSanFrancisco, revised ed., 1997. Barbour, Ian G. When Science Meets Religion. New York: HarperCollins, 2000. Brooke, John Hedley. Science and Religion: Some Historical Perspectives. Cambridge, UK: Cambridge University Press, 1991. Brooke, John and Geoffrey Cantor. Reconstructing Nature: The Engagement of Science and Religion. New York: Oxford University Press, 2000 (1998). Brooke, John Hedley and Ronald L. Numbers, eds. Science and Religion Around the World. New York: Oxford University Press, 2011. Dixon, Thomas. Science and Religion: A Very Short Introduction. New York: Oxford University Press, 2008. Ferngren, Gary B., ed. Science and Religion: A Historical Introduction. Baltimore, MD: Johns Hopkins University Press, 2002. Gould, Stephen Jay. Rocks of Ages: Science and Religion in the Fullness of Life. New York: Ballantine, 1999. Harrison, Peter, ed. The Cambridge Companion to Science and Religion. Cambridge, UK: Cambridge University Press, 2010. Haught, John F. Is Nature Enough? Meaning and Truth in the Age of Science. Cambridge, UK: Cambridge University Press, 2006. Haught, John F. Making Sense of Evolution: Darwin, God and the Drama of Life. Louisville, KY: Westminster John Knox Press, 2010. Lopez, Donald S. Buddhism and Science: A Guide for the Perplexed. Chicago, IL: University of Chicago Press, 2008. Plantinga, Alvin, “Religion and Science,” The Stanford Encyclopedia of Philosophy (Summer 2010 Edition), Edward N. Zalta (ed. ), http://plato.stanford.edu/archives/sum2010/entries/religion-science/. Ruse, Michael. Can a Darwinian Be a Christian? The Relationship Between Science and Religion. Cambridge, UK: Cambridge University Press, 2001. Stenmark, Mikael. Rationality in Science, Religion, and Everyday Life. Notre Dame, IN: University of Notre Dame Press, 1995. Wallace, Allan B., ed. Buddhism and Science: Breaking New Ground. New York: Columbia University Press, 2003. “Virtually all those who are not ignorant of Freud or totally skeptical of his findings believe that he altered, radically altered, our conception of the mind. He effected a change of what we think we are like, and it was a big change. Astonishingly enough, it is philosophers who have been of all people slowest to recognize this fact. They have been slowest to recognize that this fact has anything to do with them.”—Richard Wollheim, The Mind and Its Depths (1993): 91. In addition to Wollheim himself (regrettably, no longer with us), among those I would count as exceptions to this generalization include Sebastian Gardner, the late David Sachs, Donald Levy, John Cottingham, Marcia Cavell,* the late Ilham Dilman, Jonathan Lear, Ernest Wallwork, John Deigh, and Jim Hopkins. I haven’t read much beyond his first book (only a few articles in edited volumes), but I was informed that Michael Stocker should be in this list as well and I agree. * I’m not sure where Professor Cavell is currently teaching, it may be at U.C. Berkeley. If any RLL bloggers or readers are in Southern California in February of 2012, I thought this conference here in Santa Barbara would be worth attending: The Port Huron Statement at 50 (!). I’ve put together some homework/background reading for those of you perhaps too young to be intimately acquainted or well-versed in this history. The Port Huron Statement, first published by the Students for a Democratic Society (SDS) (the student Department of the League for Industrial Democracy) in 1962, is reprinted as the appendix in the Miller volume below. Breines, Wini. Community and Organization in the New Left, 1962-1968: The Great Refusal. New Brunswick, NJ: Rutgers University Press, 1989. Carson, Clayborne. In Struggle: SNCC and the Black Awakening of the 1960s. Cambridge, MA: Harvard University Press, 1981. Case, John and Rosemary C.R. Taylor, eds. Co-Ops, Communes, and Collectives: Experiments in Social Change in the 1960s and 1970s. New York: Pantheon Books, 1979. Cohen, Robert and Reginald D. Zelnik, eds. The Free Speech Movement: Reflections on Berkeley in the 1960s. Berkeley, CA: University of California Press, 2002. Gitlin, Todd. The Whole World is Watching: mass media in the making and unmaking of the new left. Berkeley, CA: University of California Press, 1980. Gitlin, Todd. The Sixties: Years of Hope, Days of Rage. New York: Bantam, 1987. Katsiaficas, George. The Imagination of the New Left: A Global Analysis of 1968. Boston, MA: South End Press, 1987. Miller, James. “Democracy is in the Streets: From Port Huron to the Siege of Chicago. New York: Simon and Schuster, 1987. Sale, Kirkpatrick. SDS. New York: Random House, 1973. Unfortunately, this year the United States’ treatment of migrants has been dismal. Nearly 400,000 people have been deported, often without adequate due process. Anti-immigrant and xenophobic laws have been passed in state legislatures of Alabama, Arizona, South Carolina, and Utah. The US has increased fear and isolation in our migrant communities. Last week the U.S. Department of Justice Civil Rights Division (DOJ), to its credit, made public the findings of its investigation, initiated in March 2009, into civil rights violations in Arizona by the Maricopa County Sheriff’s Office (MSCO) headed by the notorious Sheriff Joe Arpaio. The investigation uncovered what many local advocates have suspected for years: that Sheriff Arpaio and his subordinates engaged in a pattern and practice of racial profiling against Latinos and also unlawful retaliation against individuals critical of the Sheriff’s policies. Shortly after the DOJ’s findings became public, the Department of Homeland Security (DHS) ended its agreement allowing certain Maricopa County deputies to act as immigration agents on behalf of the federal government, a step community leaders have demanded for years. These agreements with local law enforcement, called 287(g) agreements, are authorized by Congress under section 287(g) of the Immigration and Naturalization Act to allow local police to act as immigration officers. In ending the agreement with Maricopa, DHS acknowledges that abuse of authority will occur when law enforcement agencies, especially those like Arpaio’s, get in the immigration business. However, while DOJ’s investigation and DHS’ suspension of the 287(g) agreement with Maricopa are steps forward, a hugely problematic situation remains. DHS continues to have a relationship with the Maricopa County Sheriff’s Office through another program, Secure Communities, the federal deportation dragnet program, which will continue its legacy of mass deportations and destruction of communities. Through Secure Communities, local law enforcement agencies automatically provide immigration authorities fingerprint information for every person arrested. After comparing the fingerprint information with its own databases, ICE can either try to deport the person or store the information in a massive database for future use. Secure Communities is already used in 1882 jurisdictions and 44 states, even in places where local officials and organizers have asked not to have any part in the program and in jurisdictions with human rights records as horrific as Maricopa County. Think about the consequences of such a widespread program. With Secure Communities, immigration agencies automatically learn the identity of any non-citizen in the custody of local police and can initiate deportation. This is the case even if the arrest was illegal and even if the charges are dropped or never prosecuted. First, a central norm in human rights is proportionality: the punishment must fit the crime. With Secure Communities, we have witnessed record deportations and detentions, often for minor offenses where the criminal courts don’t even seek jail time. Second, even though human rights standards require freedom from all forms of discrimination, Secure Communities is plagued with racial and ethnic profiling. Anti-immigrant jurisdictions use it to hide illegal and race-based arrests, and the federal government allows places like Maricopa County, Los Angeles, New York and New Orleans, places with well documented histories of racial profiling and abusive cops, to use Secure Communities without meaningful oversight. Third, human rights principles require full and fair hearings and urge release from detention over incarceration, but in localities with Secure Communities, immigration holds prevent release of thousands of non-citizens at the expense of local jailers and with the consequence of coercing criminal pleas and deportation. Fourth, human rights treaties provide special protections to women, children and victims of violence, but Secure Communities is criticized for placing trafficking and domestic violence survivors at risk of removal. Fifth, a common thread in human rights is the idea of engagement. A government should listen and engage with the people it represents and allow us to have a real voice in setting policy. But Secure Communities, despite heavy resistance and requests by states and localities to end the program, has been forced on us. Even though the people and officials of places like San Francisco, Santa Clara, and Arlington, and entire states such as New York, Illinois and Massachusetts have said they don’t want anything to do with Secure Communities, it’s being implemented anyway. The Center for Constitutional Rights has the honor and privilege of representing one of the national leaders in the movement towards immigrant justice – the National Day Laborer Organizing Network – in a lawsuit against federal agencies for information about Secure Communities. Through this lawsuit we have uncovered literally thousands of pages of internal documents that expose a record of the federal government’s deceit and misrepresentation. These documents have been used in a national campaign to uncover the truth behind police and ICE collaborations. Advocates around the country have questioned the government’s policy, educated local police and state officials and created a groundswell of resistance against merging the criminal and immigration systems. Secure Communities is now a symbol of government dishonesty and deception. The Obama administration was not transparent with Congress about Secure Communities’ true purpose when it asked for over $2 billion for the program; it tricked state and local officials into believing they could limit or opt out of the program; and worst of all the government sold untruths to the public to get this program launched at any cost. The United States has failed to recognize the universality of human rights for migrants, rights we are all entitled to just because we are human. As we begin a new year, let’s take a step forward toward recognizing the fundamental human rights of all people. The United States must change course. DHS should recognize the complete failure of programs like Secure Communities that put local police at the center of immigration enforcement. Terminate them immediately, especially in cities with open DOJ investigations or historic records of police misconduct, and start to honor our commitment to human rights for migrants. By Bill Quigley and Sunita Patel. Sunita Patel is a human rights attorney with the Center for Constitutional Rights and can be reached at spatel@ccrjustice.org. Bill Quigley is a law professor at Loyola University New Orleans and volunteers with the Center for Constitutional Rights and can be reached at quigley77@gmail.com . The playwright, essayist, and dissident, Václav Havel (1936-2011), died on Sunday. Havel was one of the foremost leaders of Czechoslovakia’s 1989 “Velvet Revolution,” the genesis of which was the invasion by the Soviet Union and four other Warsaw Pact states of the country in August 1968 so as to put a stop to its “popular experiment [in] reform socialism.” While the seeds of the nonviolent Velvet Revolution were planted during this particular revolt against Party-State Socialism, in the short term, the invasion was successful: “by 1970, Czechoslovakia had become one of the most rigidly orthodox states in the Soviet bloc.” One might reasonably conclude that nonviolent civil resistance clearly failed in this case, although it has been plausibly argued that the principle variables in determining the outcome were found in the orbit of “high politics,” the precise nature of the civil resistance possessing, therefore, little relevance to that outcome. Yet the commitment to nonviolent civil resistance did not disappear, even if the opposition’s strategies and tactics (exemplified by the Citizens’ Forum and The Public against Violence) differed this time ‘round. What is more, the geo-political circumstances had significantly changed for the better in the intervening period, and it may well have been this fact that was decisive in explaining the comparative success of the Velvet Revolution. “What we call the consumer and industrial (or post-industrial) society, and Ortega y Gasset once understood as ‘the revolt of the masses,’ as well as the intellectual, moral, political and social misery in the world today: all of this is perhaps merely an aspect of the deep crisis in which humanity, dragged helplessly along by the automatism of global technological civilization, finds itself. The post-totalitarian system is only one aspect—a particularly drastic aspect and thus all the more revealing of its real origins—of the general inability of modern humanity to be master of its own situation. The automatism of the post-totalitarian system is merely an extreme version of the global automatism of technological civilization [what Rudolf Bahro, after Lewis Mumford, refers to as the ‘Megamachine’]. The human failure that it mirrors is only one variant of the general failure of modern humanity. This planetary challenge to the position of human beings in the world is, of course, also taking place in the Western world, the only difference being the social and political forms it takes. [….] There is no real evidence that Western democracy, that is, the democracy of the traditional parliamentary type, can offer solutions that are any more profound. It may even be said that the more room there is in the Western democracies (compared to our world), for the genuine aims of life, the better the crisis is hidden from people and the more deeply do they become immersed in it. Above all, any existential revolution should provide hope of a moral reconstitution of society, which means a radical renewal of the relationship of human beings to what I have called the ‘human order,’ which no political order can replace. A new experience of being, a renewed rootedness in the universe, a newly grasped sense of ‘higher responsibility,’ a new-found inner relationship to other people and to the human community—these factors clearly indicate the direction in which we must go. * This was intended for the University of Toulouse where Havel was to be awarded an honorary doctorate but was unable to attend. Bahro, Rudolf (David Fernbach, tr.). The Alternative in Eastern Europe. London: NLB, 1978. Bahro, Rudolf. From Red to Green: Interviews with New Left Review. London: Verso Editions and NLB, 1984. Bahro, Rudolf (Mary Tyler, tr.). Building the Green Movement. Philadelphia, PA: New Society Publishers, 1986. Bahro, Rudolf (David Clarke, tr., and Palden Jenkins, ed.). Avoiding Social and Ecological Disaster: The Politics of World Transformation. Bath, UK: Gateway Books, 1994. Garton Ash, Timothy. The Magic Lantern: The Revolution of ’89 Witnessed in Warsaw, Budapest, Berlin and Prague. New York: Vintage, 3rd ed., 1999. Havel, Václav (Jan Vladislav, ed.). Living in Truth. London: Faber and Faber, 1987. Havel, Václav (Paul Wilson, tr.). Letters to Olga: June 1979—September 1982. New York: Alfred A. Knopf, 1988. Konrad, George (Richard E. Allen, tr.). Antipolitics: An Essay. New York: Harcourt Brace Jovanovich, 1984. Williams, Kieran. “Civil Resistance in Czechoslovakia: From Soviet Invasion to ‘Velvet Revolution,’ 1968-89,” in Adam Roberts and Timothy Garton Ash, eds. Civil Resistance and Power Politics: The Experience of Nonviolent Action from Gandhi to the Present. New York: Oxford University Press, 2009. “George Whitman, the legendary founder of the Paris bookshop and literary institution Shakespeare & Co., died Wednesday. He was 98. The Left Bank bookshop was closed Wednesday, and a note on the door said Whitman had suffered a stroke a few months earlier. He ‘died peacefully at home in the apartment above his bookshop,’ the letter said. On Wednesday night, people stopped to leave notes, flowers and candles along the ground and covering the window of the shop, now run by his daughter, Sylvia. Many of them said the place had always been much more than a bookshop to them, but a second home. Literally. Over the years, Whitman has sheltered about 50,000 young, struggling writer types for free, right in the shop if they needed a roof, wanted to save a franc, or just had ideas about books and a hankering for a certain bohemian way of life. All they had to do in exchange was work a few hours in the shop, write a one-page biography and provide their picture (an idea born out of Whitman’s attempt to appease French authorities who wanted to know more about the clandestine ‘hotel’ he was running on the left bank of the Seine River). The shop has kept all the letters from past boarders, dubbed ‘Tumbleweeds’ by Whitman, and each one is a testament to how he changed their lives. Pia Copper said Whitman hired her on the spot in 1994, and she stayed 10 years. ’He found so many young people who were lost, on drugs, totally hopeless, and they lived here. And there was no hard logic to it, other than: Give them a roof, and maybe part of the shop will rub off on them,’ Copper said. Though eventually an economic success, attracting book lovers from all over the world and writers such as Anais Nin, Lawrence Durrell, Allen Ginsberg and Lawrence Ferlinghetti, the running joke was that the place rarely actually did what a bookstore is supposed to do: Sell books. Inspired by Sylvia Beach’s famous Paris bookstore and publishing house, which closed during World War II, Whitman fashioned the 17th century, two-story apartment into a labyrinth of soft-lit, teetering bookshelves, winding stairs, a library, stacks of well-read Life magazines, and cushy benches that turned to beds at night for Tumbleweeds. Free tea and pancake brunches were served every weekend to anyone brave, or hungry enough. After brunch, the leftover, mysteriously thick pancake batter was used as glue to repair peeling floor rugs. Whitman didn’t care much for supervising the young lodgers that passed through, but his temper could famously flare if a book was misplaced or an edition not shelved just so. “More than a distributor of books, Mr. Whitman saw himself as patron of a literary haven, above all in the lean years after World War II, and the heir to Sylvia Beach, the founder of the original Shakespeare & Company, the celebrated haunt of Hemingway and James Joyce. Overlooking the Seine and facing the Cathedral of Notre-Dame, the store, looking somewhat beat-up behind a Dickensian facade and spread over three floors, has been an offbeat mix of open house and literary commune. For decades Mr. Whitman provided food and makeshift beds to young aspiring novelists or writing nomads, often letting them spend a night, a week, or even months living among the crowded shelves and alcoves. He welcomed visitors with large-print messages on the walls. ‘Be not inhospitable to strangers, lest they be angels in disguise,’ was one, quoting Yeats. Next to a wishing well at the center of the store, a sign said: ‘Give what you can, take what you need. George.’ By his own estimate, he lodged some 40,000 people. Mr. Whitman’s store, founded in 1951, has also been a favorite stopover for established authors and poets to read from their work and sign their books. Its visitors list reads like a Who’s Who of American, English, French and Latin American literature: Henry Miller, Anaïs Nin, Samuel Beckett and James Baldwin were frequent callers in the early days; other regulars included Lawrence Durrell and the Beat writers William Burroughs, Allen Ginsberg and Gregory Corso, all of them Mr. Whitman’s friends. Another was the Beat poet Lawrence Ferlinghetti. The two met in Paris in the late 1940s and discussed the importance of free-thinking bookstores. Mr. Ferlinghetti went on to found what became a landmark bookshop in its own right, City Lights, in San Francisco. Their bookstores would be sister shops, the two men agreed. Addenda: Professor Alice Woolley has kindly informed me of a book some of us might enjoy: Jeremy Mercer, Time Was Soft There: A Paris Sojourn at Shakespeare & Co. (New York: St. Martin's Press, 2005). One of my former classmates from high school (class of 1975! ), Patrick J. Cain, an attorney in Los Angeles, sent the following picture of himself sitting outside Shakespeare & Co. holding a copy of Father Gregory Boyle’s Tatoos on the Heart: The Power of Boundless Compassion (2010) which, it turns out, was penned by Patrick’s brother-in-law! Is Getting in the Way of Helping Main Street an Effective Political Strategy? It is an open secret that the Republicans have opposed efforts to help the economy in order to improve their chances against President Obama. Indeed, polls show that the American people are well aware of the Republican strategy. Nonetheless, the polls also show that the Republican strategy appears to be working in the Presidential race without apparent cost in to their representation in Congress. How is this possible? In the House, the people have a low opinion of Congress, but a much higher assessment of their own congressional representative. That the typical congressional representative represents a gerrymandered district in part accounts for this phenomenon. On this account, the Senate should be a different story. We will see. As to the President, he surely has many flaws. His policies are also compromised by moneyed interests and his negotiating skills are not impressive. But the idea that he could have made significantly greater progress in improving an economy when the Republican Party was united in opposing the kind of government spending needed to create jobs is groundless. Fortunately, Obama has begun to attack the Republicans’ devotion to the rich and their intransigence. This might work. If it does not, the learned lesson will be that the party out of power should do everything possible to maintain a poor economy. There are many things you could call this, but good government would not be on the list. Marcia Pally, "The New Evangelicals"
This piece--"The New Evangelicals"--in the online edition of the New York Times is well worth reading--and heartening. The author, Marcia Pally, is the author of The New Evangelicals: Expanding the Vision of the Common Good (Eerdmans, 2011). Crisis pregnancy centers across the country offer birth counseling and sometimes services, but not abortion counseling or services. Unfortunately, pregnant women are drawn to these centers on the misleading assumption that abortion counseling is available. Various jurisdictions in the United States have fashioned laws designed to combat the deception perpetrated by these centers. Baltimore, for example, (see here) requires that such centers put signs in their waiting rooms revealing that they do not offer abortion counseling or services. Incredibly, a federal district court has declared the law to violate free speech. The court thinks that the speech of the clinic is not commercial advertising and that it is more like political speech. To be sure, government cannot dictate the content of political speech. But it has long been the case that government has regulated counseling. Indeed, many counselors are properly subject to the prior restraint of licensing. In the area of health advice, there is no First Amendment right to deceive. San Francisco (see here) is taking a different approach from Baltimore. It forbids crisis pregnancy centers from engaging in false advertising, specifically from making the false and misleading claim that they provide abortion counseling when they do not. The First Amendment challenge to this approach is that it is underinclusive. The argument is that crisis pregnancy centers are being singled out for special treatment. Instead, it would be better to outlaw deceptive advertising by anyone. This argument has some appeal, but it is ultimately unavailing. Speaking for a Court majority in RAV v. St. Paul, Justice Scalia said that government may outlaw commercial speech in one context, but not another because the risk of deception in its view is greater there. That seems to be exactly what San Francisco has done. The courts deciding these cases have focused on the free speech clause, but the plaintiffs have put forward a freedom of religion argument that I think is embarrassing. In some of the cases where clinics are forced by law to reveal the true content of their services, the plaintiffs complain that the compulsion violates their freedom of religion. I understand that the plaintiffs are opposed to providing abortion services on religious grounds, and I believe they have a First Amendment right not to do so. I find it hard to believe that they are really religiously opposed to publicly announcing their religious views about abortion in their waiting rooms, let alone being religiously opposed to revealing what their services are. Perhaps, however, their claim is that they have a religious right to deceive women (could they kidnap them, if necessary? ), so that they not have abortions. I think this is dubious theology, but I know it is a preposterous legal claim. I doubt we will hear much about the religious argument in these cases, but the free speech arguments will be wrestled with in many of the appellate courts. Over the Thanksgiving weekend I was with my family in New York City, thinking about the sermon for the following week, and the familiar figure of John the Baptist. You can still find plenty of people in and around Zuccotti Park, off Wall Street. The signs are back up, and young people, some of them a little unkempt, are hanging out, at least in the daytime. But come to think of it, John the Baptist didn’t have a plan for restructuring the political and economic systems of first century Palestine . He didn’t have a plan for fixing the institutional religious bodies of his day either --he just knew something was wrong. This was fairly typical for the prophets of the Old Testament. They complained a lot, about corruption and injustice. But they really never had a plan. John was louder in Matthew and Luke but it’s clear even here, his job was to open up a space, based only on the insight that all was not as it should be and that a new age needed to dawn. You could tell me that John wasn’t talking about social and political change when he was asking people to repent of their individual sins but you know – Mark is clear, John got himself killed because his little project there in the desert was sufficiently threatening to the king. Getting people to repent and tell the truth was going to rattle all the social arrangements. It always does. Because something is wrong, I too am ready to join the Occupy movement though I don’t have a roughed-up flannel shirt, and I am a little picky about what I eat. That children are sliding into poverty here and around the world in such astonishing numbers, that 1 in 6 Americans live below the poverty line. That there are lousy schools and falling-down bridges, and you know all the rest. You don’t want me to suggest an economic plan. . . I haven’t balanced my checkbook since 1987 – but I still think it right to once again gather the people and say, “I’m not okay, – things here are not okay,” --and make space for another word. Sometimes it’s all you can do. It’s all you can do even in your own life. You don’t have an answer, you don’t have a solution, all you can do is name what is wrong, and open up a space for thefor the next word to be heard. Dissatisfaction. . . it is a beautiful thing, a necessary thing. And sometimes, it’s all we’ve got. It does not take a rocket scientist to recognize that the Republicans have walked into outer darkness in arguing that extending tax cuts for those who are not wealthy needs to be matched by cuts while arguing that tax cuts for the wealthy need no such compensating cuts. Their cover story for this is that the wealthy are “job creators” – despite the absence of significant evidence that tax cuts for the wealthy have created jobs except in overseas markets. Tax cuts for those who are not wealthy according to the Republicans do not create jobs. I would have thought that increased demand for products might increase jobs or so the Republicans have argued for many years. Indeed, they have argued that tax cuts pay for themselves. Now, however, they are loathe to do anything to help the economy so that they can blame Obama. I do not think that this is technically treason as a legal matter, but, as a political matter, I think it is a betrayal of a public trust – a form of political treason. Meanwhile the blogosphere is alive with indictments of the Republican chicanery. Two of the best are here and here. This is the first draft of a compilation of book titles (in English) useful for delineating the contours of group identity, agency and collective responsibility in its various dimensions: metaphysical (and/or ontological), epistemic, psychosocial, moral, and legal. The list endeavors to represent the crème de la crème of the (fairly recent) relevant literature, so it’s not intended to be comprehensive, let alone exhaustive. I welcome suggestions for additional titles. Appiah, Kwame Anthony. The Ethics of Identity. Princeton, NJ: Princeton University Press, 2005. Bion, W.R. Experiences in Groups, and other papers. London: Tavistock/Routledge, 1961. Brewer, Marilynn B. Intergroup Relations. Philadelphia, PA: Open University Press, 2nd ed., 2003. Brown, Rupert. Group Processes: Dynamics Within and Between Groups. Malden, MA: Blackwell, 2nd ed., 2000. Burkitt, Ian. Social Selves: Theories of Self and Society. London: Sage, 2nd ed., 2008. Cane, Peter. Responsibility in Law and Morality. Oxford, UK: Hart, 2002. Casals, Neus Torbisco. Group Rights as Human Rights: a Liberal Approach to Multiculturalism. Dordrecht: Kluwer, 2006. Dalal. Farhad. Taking the Group Seriously: Towards a Post-Foulkesian Group Analytic Theory. London: Jessica Kingsley Publishers, 1998. Erskine, Toni, ed. Can Institutions Have Responsibilities? Collective Moral Agency and International Relations. New York: Palgrave Macmillan, 2003. French, Peter A. Collective and Corporate Responsibility. New York: Columbia University Press, 1984. French, Peter A. and Howard K. Wettstein, eds. Shared Intentions and Collective Responsibility. Malden, MA: Blackwell, 2006. Gilbert, Margaret. A Theory of Political Obligation: Membership, Commitment, and the Bonds of Society. New York: Oxford University Press, 2006. Goldman, Alvin I. Knowledge in a Social World. New York: Oxford University Press, 1999. Goodin, Robert E. Protecting the Vulnerable: A Reanalysis of Our Social Responsibilities. Chicago, IL: University of Chicago Press, 1985. Goodin, Robert E. Utilitarianism as a Public Philosophy. Cambridge, UK: Cambridge University Press, 1995. Graham, Keith. Practical Reasoning in a Social World: How We Act Together. Cambridge, UK: Cambridge University Press, 2002. Hinshelwood, R.D. 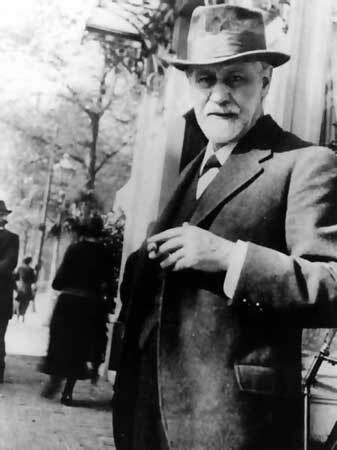 What Happens in Groups: Psychoanalysis, the Individual, and the Community. London: Free Association Books, 1987. Hogg, Michael A. and Scott Tindale, eds. Blackwell Handbook of Social Psychology: Group Processes. Malden, MA: Blackwell, 2001. Ingram, David. Group Rights: Reconciling Equality and Difference. Lawrence, KS: University of Kansas Press, 2000. Isaacs, Tracy. Moral Responsibility in Collective Contexts. New York: Oxford University Press, 2011. Kernberg, Offo F. Ideology, Conflict, and Leadership in Groups and Organizations. New York: New Haven, CT: Yale University Press, 1998. Kutz, Christopher. Complicity: Ethics and Law for a Collective Age. Cambridge, UK: Cambridge University Press, 2000. List, Christian and Philip Pettit. Group Agency: The Possibility, Design, and Status of Corporate Agents. New York: Oxford University Press, 2011. May, Larry. The Morality of Groups: Collective Responsibility, Group-Based Harm, Corporate Rights. Notre Dame, IN: University of Notre Dame Press, 1987. May, Larry. Sharing Responsibility. Chicago, IL: University of Chicago Press, 1992. May, Larry. Crimes Against Humanity: A Normative Account. Cambridge, UK: Cambridge University Press, 2005. May, Larry and Stacey Hoffman, eds. Collective Responsibility: Five Decades of Debate in Theoretical and Applied Ethics. Lanham, MD: Rowman & Littlefield, 1991. McMahon, Christopher. Collective Rationality and Collective Reasoning. Cambridge, UK: Cambridge University Press, 2001. Miller, Richard W. Globalizing Justice: The Ethics of Poverty and Power. New York: Oxford University Press, 2010. Miller, Seumas. The Moral Foundations of Social Institutions. Cambridge, UK: Cambridge University Press, 2010. Ruben, David-Hillel. The Metaphysics of the Social World. London: Routledge, 1985. Schmitt, Frederick F., ed. Socializing Metaphysics: The Nature of Social Reality. Lanham, MD: Rowman & Littlefield, 2003. Searle, John R. The Construction of Social Reality. New York: The Free Press, 1995. Tuomela, Raimo. The Importance of Us: A Philosophical Study of Basic Social Notions. Stanford, CA: Stanford University Press, 1995. Tuomela, Raimo. The Philosophy of Social Practices: A Collective Acceptance View. Cambridge, UK: Cambridge University Press, 2002. Tuomela, Raimo. The Philosophy of Sociality: The Shared Point of View. New York: Oxford University Press, 2007. Image: Vanessa Bell (née Stephen) (1879-1961) – c. 1943 The Memoir Club (National Portrait Gallery, London). The Memoir Club (The Bloomsbury Group): Duncan Grant; Leonard Woolf; Vanessa Bell; Clive Bell; David Garnett; Baron Keynes; Lydia Lopokova; Sir Desmond MacCarthy; Mary MacCarthy; Quentin Bell; and E. M. Forster.